Park 9 Housing Fair – Saturday, May 17th! 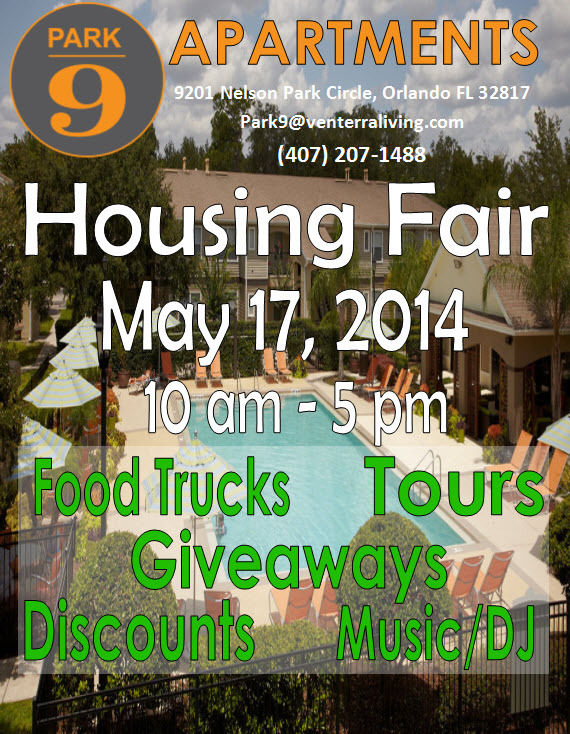 Park 9 Apartments in Orlando, FL will be hosting a Housing Fair on Saturday, May 17th from 10 am to 5 pm. Join us for Apartment Tours, Giveaways, Discounts, Food Trucks, Music, and more! Visit www.Park9Orlando.com for more information on our spacious 1, 2, and 3 bedroom apartment homes. Any Questions? 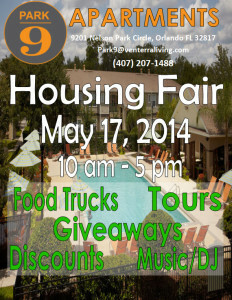 Call 407-207-1488 or Email us at Park9@venterraliving.com for more information.